In the event of school CANCELLATION, Before and After Care (BAC) will be made available at Pleasant View Elementary UNLESS otherwise noticed by ZCS or by Boone County “State of Emergency” being declared. In the event of a midday or other emergency school dismissal, BAC will be provided at the regular school site UNLESS otherwise noticed by ZCS or by Boone County “State of Emergency” being announced. 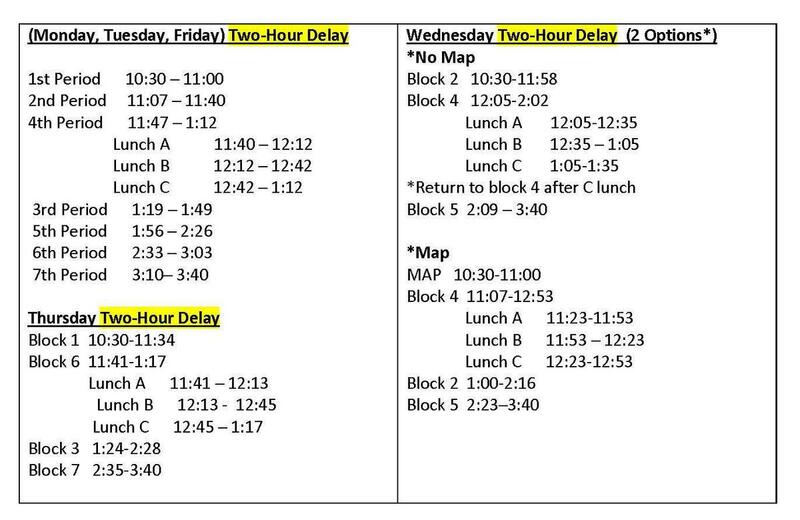 In all cases, two-hour delay days start at 10:30 @ ZCHS utilizing one of the following schedules. On days when Zionsville Community Schools has a 2 hour delay, Universal Preschool and BAC will also delay. Car line will begin at 10:05am. There is no morning BAC for Preschool students. A school lunch will be provided. For students with IEPs who attend a full day and who are assigned bus transportation, the bus will pick up 2 hours later than the usual pick-up time. Students with IEPs who attend a ½ day UP program will not have transportation on 2 hour delay days. On days when ZCS is cancelled, Universal Preschool and BAC will operate on the regular schedule at one location for the district. That location is Pleasant View Elementary. Door #2 should be used for drop off. Bus transportation is NOT AVAILABLE ON CANCELLATION DAYS. Your student will need to bring a lunch to school, as ZCS Food Services will be unavailable. Developmental Preschool AM and PM classes operate on an alternating schedule during ZCS 2 hour delays. 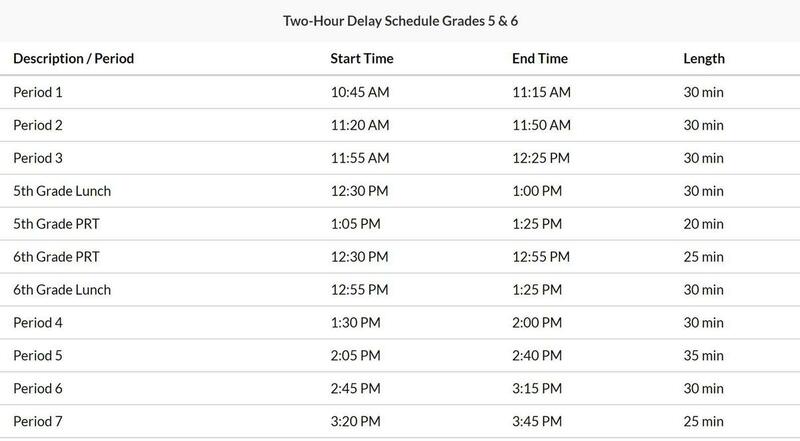 During the first 2 hour delay, the AM Developmental Preschool students will not attend programming and the PM student will attend during their regularly scheduled preschool time (12:15 – 2:45). 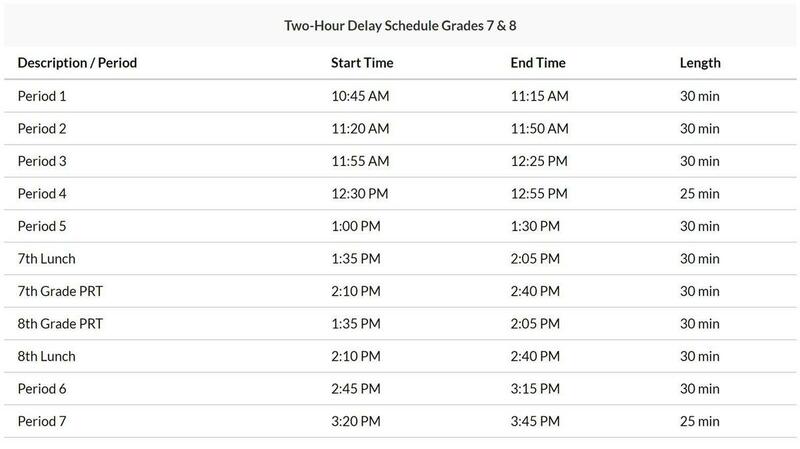 If a second 2 hour delay occurs, the AM Developmental Preschool students will attend during the PM time (12:15 – 2:45) and the PM Developmental students will not attend preschool that day. The alternating pattern will continue for each 2 hour delay that occurs. Developmental Preschool students who attend Developmental Preschool and Universal Preschool can attend Universal Preschool when school starts at 10:15 am. Universal Preschool is also delayed when ZCS calls a 2 hour delay. For students who are assigned bus transportation, the bus will pick up 2 hours later than the usual pick-up time. Developmental Preschool is closed when ZCS cancels school for inclement weather such as snow day. If your student also attends Universal Preschool, he/she is welcome to attend a full day of Universal Preschool. Universal Preschool is offered at Pleasant View Elementary in these instances (see below). However, bus transportation is NOT AVAILABLE ON CANCELLATION DAYS. Your student will need to bring a lunch to school, as ZCS Food Services will be unavailable. UNIVERSAL PRESCHOOL WILL NOT OPERATE IF A STATE OF EMERGENCY IS DECLARED IN BOONE COUNTY. Following is important information for parents about school delay/cancellation communications, weather “make-up” day logistics, “home rule” decision-making, and more. Hundreds of new families are with us in ZCS this year, and this is all new to them. This is an important refresher for everyone. 1. PARENTS ARE THE MOST IMPORTANT DECISION-MAKERS! 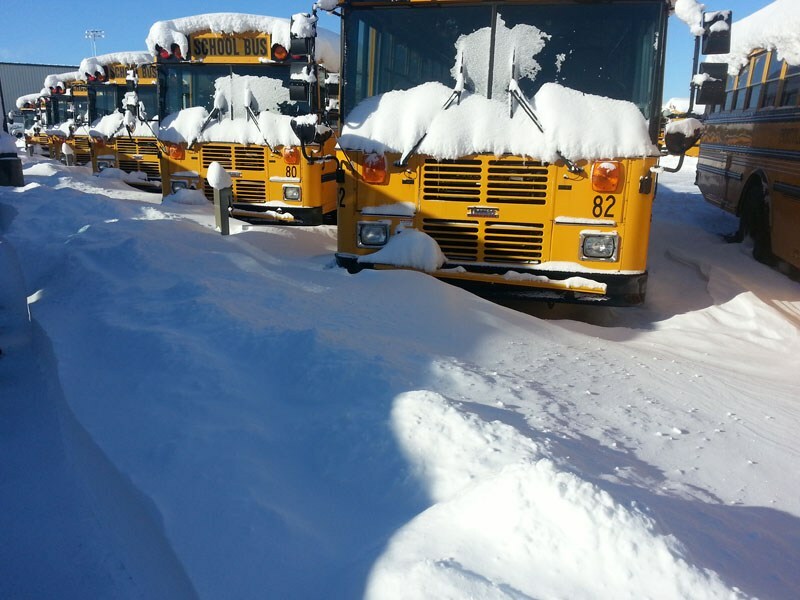 When the majority of our buses can traverse roads safely, we'll be in school. However, no central decision can anticipate every condition in all of the two townships of Boone County that ZCS covers. Thus, home rule at your front door is key. I/we respect it greatly. 2. REAL-TIME E-DAY MAKE-UPS FOR CANCELLED SCHOOL DAYS: If Mother Nature makes for a school cancellation, we will deploy our e-day strategy for which we are approved by the Indiana State Department of Education. However, we will NOT have more than two consecutive e-days in a row, so, if we have a monumental blizzard or ice storm, we will be forced to put some days on at the end of the year or come up with another make-up strategy. We do not wish to become an online school, and we know that too many consecutive e-days makes for less than ideal instructional continuity. Stay tuned to school campus leader and superintendent messaging about the make-up day protocol for cancellations. All students will use CANVAS for real time make-ups. Given that we are not a 1:1 computing district in grades K-4, we will allow afternoon and Saturday catch-up days with open computer labs because some elementary students do not have sufficient computer access at home. Finally, note that Mother Nature is not our only school day disrupter. We may need to cancel school for just one of our campuses for some reason like a power outage, water main break, etc. If this occurs, please stay tuned to school and district communications for information about how the matter will be handled. 3. ABOUT SAFETY, NOT MONEY! Common among misperceptions about school delays and cancellations is that ZCS gets funding based upon attendance on scheduled school days. Not true. We have to be in school a certain number of days (180) by law, but if we have bus or facility concerns about safety, I’ll cancel school, period. Our safety nets for buses and facilities are strong, and we plan well, but Mother Nature is fickle and fast acting. My decision to delay, go on time, or to not go to school at all is based foremost on student and staff safety. If my inclement weather decision cannot work where your home is located due to the weather, see #1 above. 4. OUR COMMUNICATIONS! Text, voicemail, email, Twitter, Facebook, local television stations (though they don't always share the information timely), and our district webpage (http://www.zcs.k12.in.us/) are the avenues we will use to reach out when there is news that alters the school schedule in any way. Winter weather is very inconvenient at times, but my/our decisions are about layers of considerations with student safety at the forefront. We do default to a “school is in session” mindset whenever possible. Our “morning eyes” team of professionals and our maintenance “snow plow crew” are always working with our amazing transportation staff to make this school is in session mindset a reality. Thank you for choosing the Zionsville Community Schools, and thanks for partnering with us to keep students safe no matter what Mother Nature has in store for us this school year.